In this episode, Sri and Kira continue their deep journey to multidimensional communication with Melody O’Ryin Swanson about, publisher and editor or Sedona Journal of Emergence. They share the secrets of navigating the storm of messages that are coming forward. Here are important notes from this episode. The Group refers to people who are in touch with other dimensions. These people offer incredible perspectives about the here and now by being a channel. For these people, being a messenger of multidimensional communication is not a career, this is a life. There is a sense of community of integrity among people who bring forth spiritual communication. It takes support through many different means to get through this life. People who don’t find support stop becoming messengers of spiritual information. Here is the truth: The divine is available to all. Click to tweet this. In our world today, we are witnessing so much conflict, e.g. inter-country conflict, religious conflict, etc. NOW is the moment to look into multidimensional messages. If you are looking for other people who are receiving these multidimensional messages, you will encounter different kinds of people. People who are strange, people who are weird. It takes spiritual discernment to choose who and what to believe. The Sedona Journal of Emergence is a steady beacon for channelled messages and to people who are channeling these multidimensional messages. It celebrates our emergence into multidimensionality and brings forward the truth of the eternal nature of our existence. Melody on spiritual discernment: “I am much more discerning now than when I started. I was more impressed with the channels than what they wrote.” Some of her books were published based on thecharming personality of the channel. But now, after more than 20 years of publishing and editing, she has become much more discerning. She reads every article before it’s published in the journal because she does not want anything gloom and doom, fluffy or dishonest material published in the journal. Melody had no spiritual awareness before 1969. She only had daily life. Then she “woke up” along with other spiritualists around the late 1960s. She joined Edward Cacey’s A.R.E. group and practiced meditation. In 1985, Melody quit her job and moved to Sedona, Arizona. This is where she got her hands on a printing press. This is the birth place of the Sedona Journal of Emergence. But before she founded Sedona, Melody formed Mundo Lama out of her home to bring students and teachers together. She would bring in spiritual teachers and students can get degrees in Gestalt Psychology by attending there. When neighbors started to complain of the organization’s activities, she had to hire universities so she can do her workshops. That stopped eventually and Mundo Lama’s newsletter that went out to 14,000 subscribers also stopped publication as well. It was after the Harmonic convergence of 1987 that Melody decided to start publishing again. She started publishing The Sedona Journal of Emergence. There was no consistency in the publication schedule because Melody only published it when she had money. It was only inly February 1991 that the magazine started to be published consistently. Currently, the world is experiencing more polarity and turbulence than ever before. According to the Melody, we are at the third wave of “waking up.” The first one occurred in the late 60s to the early 70s. The second one occurred in the late 80s. The 3rd generation of crystalline individuals needs a lot of guidance to accept and allow multidimensional messages to come in. As one channeler puts it, we should have wakened up 2 years ago. 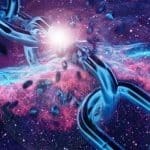 We need to catch up and accept the invitation to remember ourselves beyond this one world allegiance because this awakening shift is happening at galactic level. We are literally being forced to wake up. 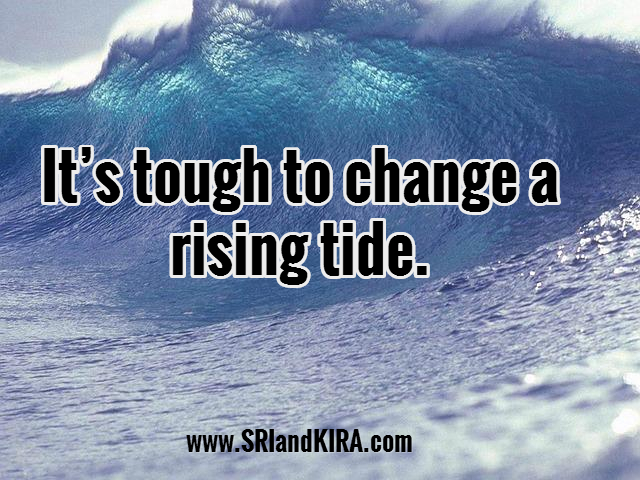 It’s tough to change a rising tide. Channels become so excited about the messages they receive that they burn themselves out. As a channel, you should know that you die every time you leave the body. Every channel wears and tears their body if they leave it for other dimensions. How do you know which message to receive? Look at the quality of the information and the feelings that you get when you receive it. If you don’t feel good when receiving a message, shut it down. Channeling is something that’s available to every human. When we are born, we are open. We see angels. We know and remember who we are. Click to tweet this. All humans are the explorer race. We are here for a particular purpose: learning how to slow creation down so that we can understand it and understand the consequences. However, that school is over now. We are being pushed through the next level. Sincerity. Love. Presence. That is how you stay connected with as a channel. How do we nourish the awakening? Some people need to move in order to bring balance to your person. For example, Sri moved to Arizona, from a water environment to a desert environment, when he awakened. Melody moved to Sedona from the late 80s to the mid-90s after quitting her day job. She moved to Flagstaff after realizing that she has become a hermit. Flagstaff has a nurturing energy. It has the mountains and the trees to nurture a person who is awakening. Find someone like you. Find someone to support you. Reach out to others who can assist you to grow. If you find people who are awakening to the truth, you yourself will be more awake. You only get to wake up once. Enjoy! – Melody O’Ryin Swanson Click to tweet this. Trust your expansion rather than be afraid of it. Fear is a collapsing energy.